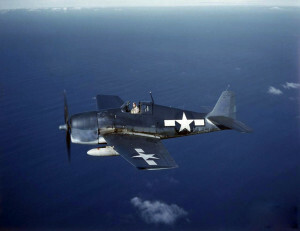 In the early morning hours of March 29, 1945, an Ensign piloting an F6F-5 Hellcat, (Bu. No. 71001), was making night practice landings on Runway 34, when the aircraft stalled and crashed into a sea wall coming to rest upside down. The aircraft was a complete loss and the pilot was seriously injured. Source: National Archives AAR 33-45: TD450329RI, via Larry Webster, Aviation Historian, Charlestown, R.I.